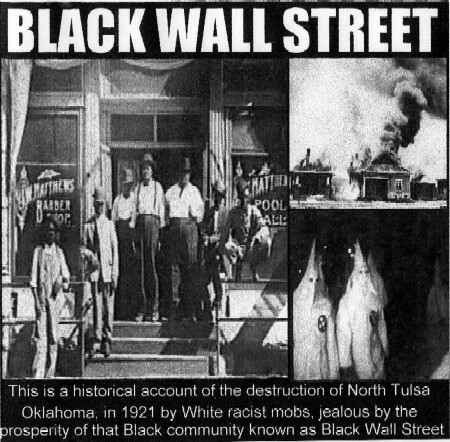 There is a another Wall Street few have heard about, Tulsa Oklahoma’s “Black Wall Street”, that was a dark area facing dark times about 90 years ago – May 31st and June 1st. of 1921, to be specific. What occurred provides us with a striking example of what can occur on Wall Street, or at least what can happen when wealth aggregates in the “wrong” Wall Street. Some say a “race riot”, a term that is laden with meaning, took place. Others say it was something else. The stories we tell ourselves and others about such events suggest that we interpret matters based upon individual perspectives and preferences. He-who-raised-me was three years old in 1921 and just turned 95. Only now is he learning about what happened on Black Wall Street in his reading of a hard copy version of If We Knew Our History. Despite his undergrad and graduate education, despite his retirement, he is still learning. He is still attending school because whether one is young or old, learning, practicing or refining a craft, semi or fully retired, all of us continue to learn whether or not school is out for summer. I have always lived in a world in where “race” and “class” matter greatly. For all the education and training I have received, I did not turn out “colorblind”. I recognize the relationship between color (whether black, red, yellow, brown or white “hillbilly”) and socioeconomic class . Who do you see there? Do you see yourself and your family, or do you see “others”? If you see “others”, are they them because of skin color, educational level or employment status? How and why did they get there? 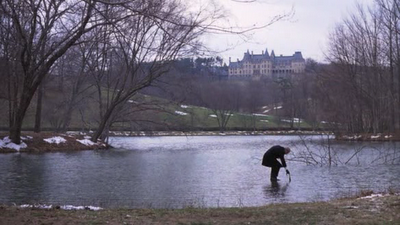 Did “Wall Street” have anything to do with what you see or think about? A construct of upbringing and society, holder of a BS and JD and most recently an MA, I have practiced law more than 25 years. "The Truth shall set you free", but only if it is a Personal Truth that is based upon facts. Parrhesia may be humankind's only hope (see, https://docs.google.com/viewer?a=v&pid=explorer&srcid=0B9yCDQy_KiIGYTNiZTc1NmMtNzQ4ZS00OTM2LWI5ZWItNDI5MjVkMDM5NzZm). Going to read this in a sec! but first I wanted to say I missed you man!